When you bring home that prized new plasma, LCD or DLP TV, your set has not been optimized for a home viewing environment. Manufacturers calibrate these televisions to look best in the open, bright spaces of a retail store, set at high levels of brightness, contrast and color that do not translate well into the typical family room. Making adjustments until your TV “looks good” only goes so far. It takes specialized training and equipment to fully calibrate these sophisticated devices based on your viewing area. That’s where Home Theater Evolutions’ Professional Video Calibration can help. Our highly trained, Service Specialists will apply the latest tools and techniques to create the most true-to-life high-definition experience for you. Whether you recently bought an HDTV or have had one for years, this service is essential for making the most of your entertainment investment. Our calibration procedures will bring out the sharpest edges and most accurate color representation on your screen. Your HDTV also features amazing contrast-ratio potential, and we’ll optimize your set to produce the deepest darks and most vivid brights. The human eye is designed to absorb the colors, contrasts and brightness levels that occur the natural world. Therefore, the more lifelike the images on your HDTV, the less work your eyes have to do. We’ll help ensure the lowest amounts of eyestrain in the space where you watch your HDTV, in all lighting conditions and at all times of the day. When your HDTV is properly calibrated, its individual pixels expend less energy to fill the screen with images. This helps to promote the longest possible functional life of your set. Your HDTV will look better and last longer. Home Theater Evolutions’ ISF Calibration Services can reduce HDTV power consumption by up to 50%, average savings of up to $150 per year on your electric bill. When you choose a home theater system, you expect to have the best seat in the house every night! 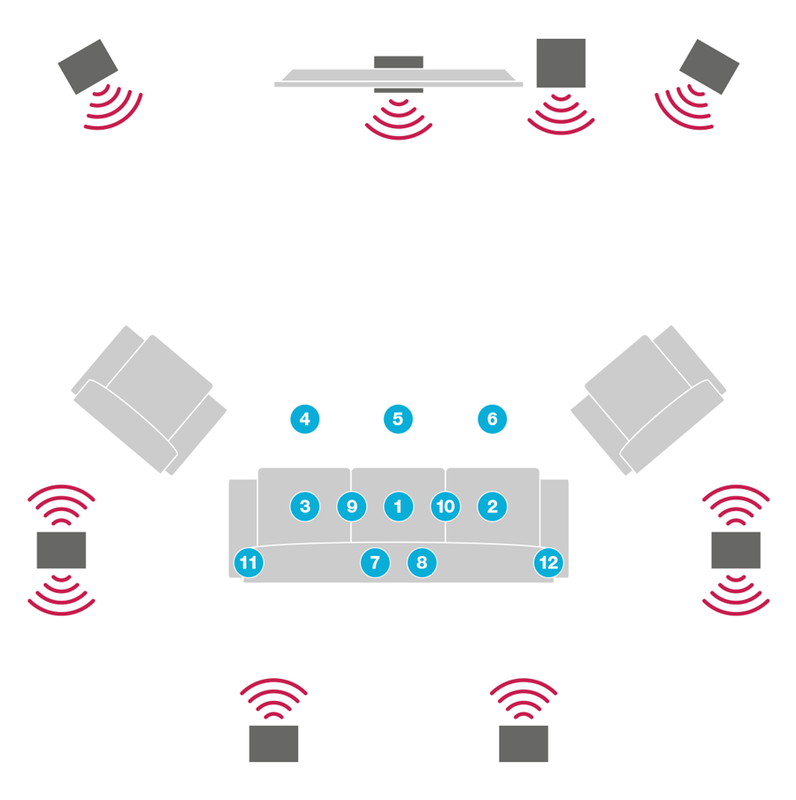 The Audyssey MultEQ Pro measures an audio system in multiple positions throughout a home theater by evaluating not only the frequency response, but also reflections in the audio path that cause distortion. With this information, MultEQ Pro can equalize an audio system resulting in improved soundstage, accurate tonal balance, deeper and more defined bass, and overall improved imaging. You want your audio components to live up to their full potential, so you can enjoy clear, accurate, natural sound in the home theater of your dreams.